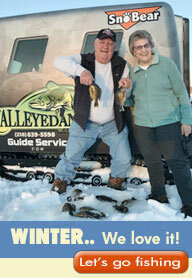 Our fishing guide service is based here in central Minnesota, but that doesn’t mean it’s the only place we fish! 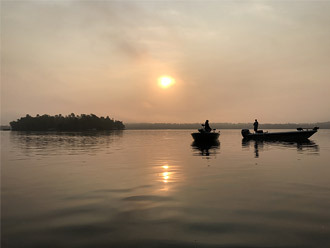 We are blessed with many, many awesome lakes here in central Minnesota but we will fish where we think the “bite” will be best for the species YOU want to target. Or if you would rather have us tell you what you should be targeting on that particular day, we will do that. From ice fishing to open water and from Baudette to Lake Minnetonka, we can hook you up with a professional guide that will show you a great time on the water. So, it’s that simple and that’s why it’s our PROFESSION and not just our hobby. Our guides will have quality equipment and will be at the “meeting spot” rigged and ready. The only thing you will need is your MN fishing license, some snacks, beverage and appropriate clothing for your time on the water. 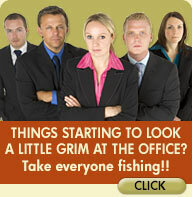 If people concentrated on the really important things of life, there’d be a shortage of fishing poles.